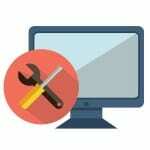 Update Your Website, Resolve Issues, or Customize it Further! Premium tech support is ideal for those who want to update some items on their site but not necessarily revamp it, those that have an issue with something on their site that needs to be resolved, or those that want to add extra functionality to it. Our support option is bundled in one-hour blocks of time, and you might be surprised to see what we can accomplish in one hour! We only use the time as we need it, and it never expires. One hour block of support time per $99 payment for adding new features, pages, or help on learning how to edit your site yourself.